Na Piarsaigh’s exit has been confirmed with one round of group games still left to play. THE REIGNING ALL-Ireland club hurling champions Na Piarsaigh have been dumped out of the Limerick SHC before the conclusion of the group stages. Na Piarsaigh’s exit was confirmed after Ballybrown’s 1-15 to 0-9 win over Doon on Sunday evening. The result means the reigning Limerick, Munster and All-Ireland champions cannot progress to the quarter-finals, regardless of results in the final round of group games. 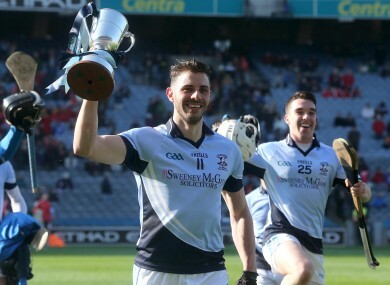 Na Piarsaigh only lifted the All-Ireland club title on St. Patrick’s Day, but they shipped costly defeats to Kilmallock and Doon in the opening two rounds of the championship earlier in the summer. Shane O’Neill’s side recovered to beat Bruree and South Liberties, but those early defeats left too much work to extend their season. The quarter-final line-up is almost complete, with Ballybrown, Doon, Kilmallock, Adare and Patrickswell already through. One more team will join them after the concluding round of group games. Email “The All-Ireland club hurling champions have been knocked out in Limerick tonight”. Feedback on “The All-Ireland club hurling champions have been knocked out in Limerick tonight”.